The Juicy Crush wave 2 have been removed from target.com. Sources say they will be in stores in January. It has been confirmed that the very popular and very cute La Dee Da Juicy Crush will have a second wave released later this year. I think the outfits and hair are even prettier on this line and I love how Dee looks very hippie like. 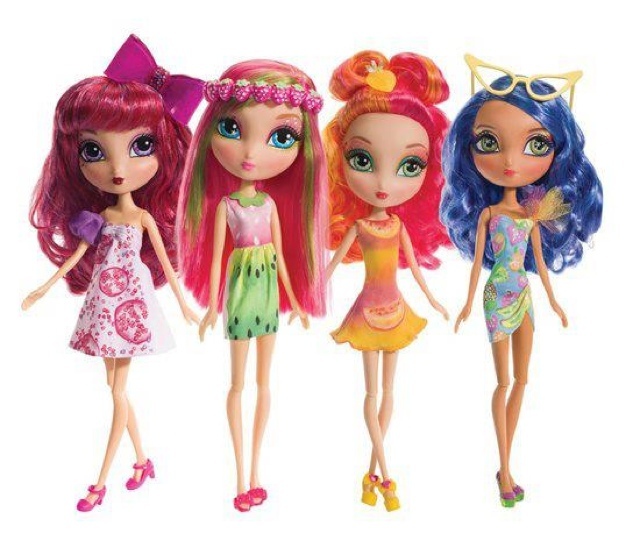 This line features Tylie as Pomberry, Dee as Strawberry kiwi, Cyanne as Peach Mango, and Sloane as Tropical Punch. Tylie and Dee are my favorites in this line. Which is your favorite?